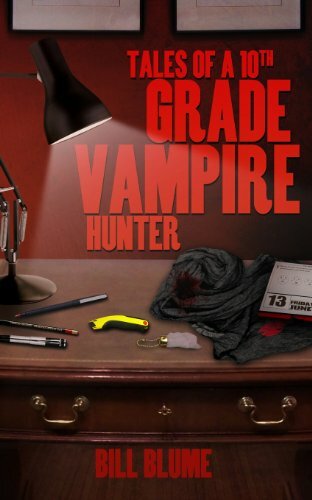 “Gidion’s Hunt” is a story about a teenage vampire hunter. He has two role models: his grandpa and his dad. They were both once hunters themselves. Gidion follows in their footsteps as he searches for clues and does detective work. He goes after a group of vampires, and ends up saving and protecting his teacher and friends. Along the way, he discovers a sinister world where kids become the slaves of vampires. The writing of this novel is so dynamic that the reader feels a part of Gidion’s adventures. As well as being a very entertaining read, this novel introduces concepts that other vampire stories don’t. The story doesn’t focus on the gore of killing vampires, but rather the process and the reason for hunting. Gidion is looking to destroy a coven, but he is not blinded by his main goal. He knows he has to focus on keeping people safe first. Gidion is a character who is simple and smart. In fact, he could be anyone's friend, but he has something few people know about: he follows a code of chivalry. This story was so fresh and exciting that I would definitely recommend it to a friend. Talk of murder and killing.